NB: This bio was written by Patrick. 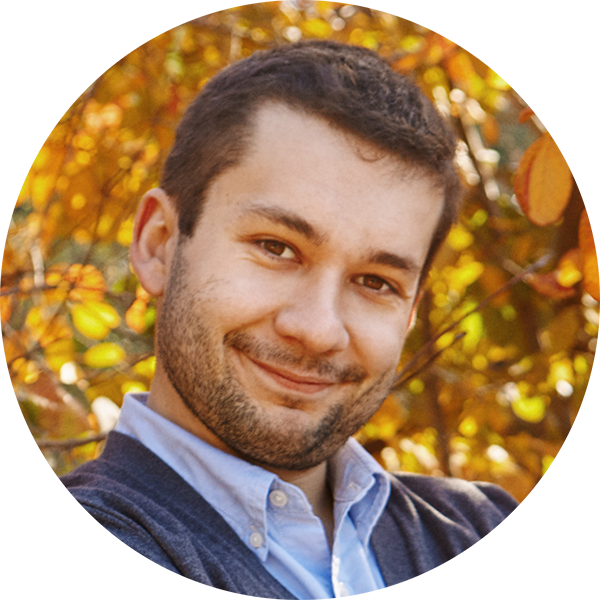 Nicolas was the first intern we hired nearly 10 years ago in another entrepreneurial life. He was a young graduate of the CELSA communication school in Paris, writing his thesis about memes, being a history buff, collecting old coins and listening to English rock. The meme became reality, when destiny sent him to communications agencies Weber Shandwick and Publicis to sharpen his digital knives in preparation for Haigo. During this period, Nicolas was helping big brands to learn to live and love, digitally, man. It was no surprise when our paths crossed again when we launched Haigo. Nicolas is employee number 0001 for our Haigo adventure, and his job is to bring our clients’ digital ambitions to life. He is now Product Owner and strives to nourish the curiosity of communications teams, and to turn developers into teachers. When the weekend comes, he plays music with his friends from Rendez-Vous Records and contributes to a newsletter which, with beautiful simplicity, is named “Probably the best newsletter in the world”, and shares thoughts on innovation, digital sociology and the Internet, obvs. Every year he returns to his alma mater to teach his students everything he knows, and much more besides. If you have any good ideas for reading material for his Pocket, or to talk to him about your projects, just get in touch.